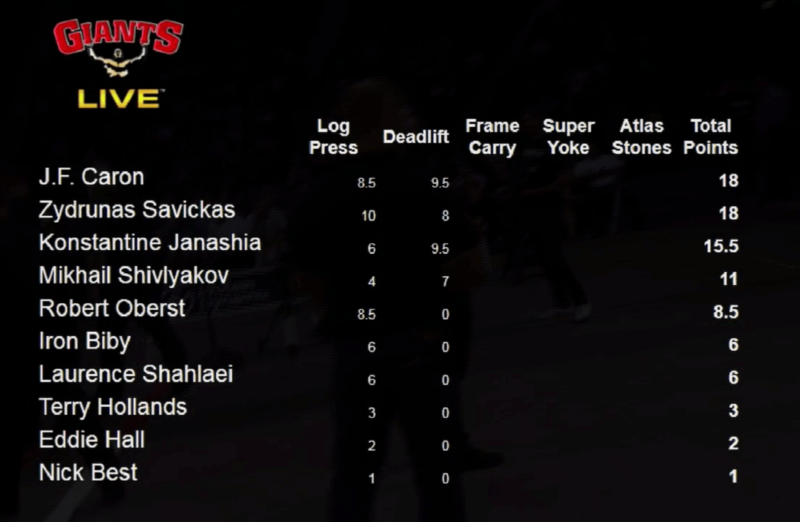 400kg/881lbs is a monumental feat in itself but for reps is just absurd, the majority of the field struggled but Janashia and Caron made rep work out of it both getting 5 reps a piece for the joint win. Caron even reported that his luggage was lost and he didn’t have his deadlift suit and was lifting on borrowed kit. Laurence Shahlaei ripped 400kg off the floor to lockout but lost balance at the top and was not credited a rep.